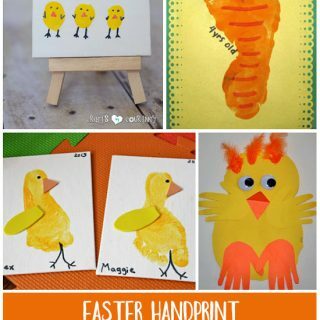 Our Handprint & Footprint Easter Cards! 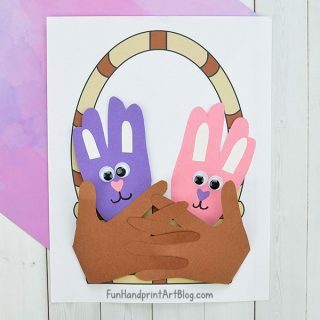 My toddler and I made these adorable Easter Cards. My son painted a coloring page with Easter Eggs on it. He used different textures for painting: a mascara wand, a kitchen sponge, a makeup sponge, and a Q-tip. 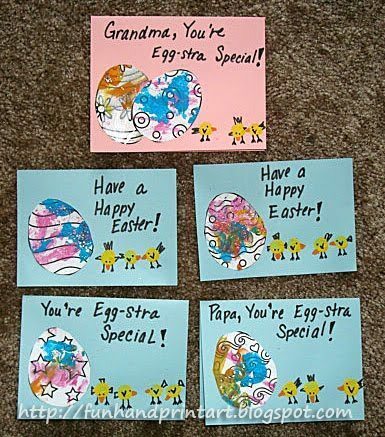 I cut around all the eggs and glued them to card stock that I had previously folded. I added my son’s yellow thumbprints and decorated them to look like baby chicks. 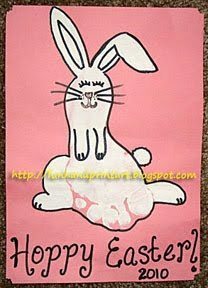 We also made a footprint bunny card the same day we made one for our Hand & Footprint Calendar.